How would you feel if I told you something about yourself that you didn’t want to hear? Maybe it’s a complaint about something you said. Maybe I am angry or hurt about something you did. What would you do? When this happens to me, I listen attentively and respond with appreciation for the feedback. If it’s appropriate, I try to own it, apologize and seek to make amends. The thing is, defensiveness is really damaging to relationships. Dr. John Gottman has noted that it’s one of the four relationship killers. If you want to have a healthy thriving relationship, how do you get out of the defensiveness trap? Have you ever really blown it? I mean you did or said something that so damaged a relationship that it still hasn’t recovered? Maybe you messed up so bad you’ve lost your connection in your family or community? If you are familiar with the apostles in the Good News, you might now about Peter. He was loud and brash; quick to speak and slow to listen. He seems to have been a leader in that he tends to get listed first among Jesus closest friends. Like the other disciples, he was given the ability to heal people and set people free from possession. He preached boldly and hundreds committed their lives to God. Eventually he would be imprisoned for his faith. And yet, he blew it. Big time. Can you picture it? Peter spewing out cuss words and swearing on God’s name (super serious back then) that he doesn’t know his best friend Jesus, who is the Christ, the Son of God. You just know that word of this spread like wildfire among the other apostles. Can you imagine how he felt? Do you remember how you felt when you did something so bad you felt disqualified from everything? At a time when the disciples thought the hope of Jesus had ended in disaster, when they were scattered and afraid, they discover Jesus isn’t dead, the mission is still on, they are called to press forward and stay hopeful. But did you catch it? The Good News in just two words? To the one who had blown it, ran scared, and denied his best friend with angry curses, is still welcome at the table, still invited to be a part of the movement, and will still be used to turn the world upside with Good News; the Good News that despite his failures he was still loved and accepted, still valued and worthy. Do you know your love language? Do you know what love languages are? I’m a fan of the love language concept and I’ve shared it with others. Maybe check them out and discover what is your language. Recently I received an email from them with some examples and I think they will be a blessing to you. This is quoted directly from their email. Compliments sometimes mean extra when given in the presence of others. Make sure to let your loved ones know how much you care for them in front of other people, too! What if you switch the way you think about nagging: instead of being annoyed, learn to hear it as, “This is a task that is really important to me, and I will feel so loved when it is completed.” Use nagging as a simple reminder from your partner to love him or her better! Give your partner a gift every day for a week. Whether extremely creative or sweetly simple, the flow of gifts will make an impact and will create a week to be remembered by both of you! Instead of asking your loved one, “How was your day?” ask a fresh question, like, “What was the best part of your day?” “What was a success you had today?” or “What did you struggle with today?” Make sure to create enough time to truly listen and care. Research has shown that babies who are held, hugged, and kissed develop more healthily than those who are neglected. But people never outgrow their need for physical affection! Remember to hug your loved ones this week. What do you think? Can you speak these love languages? Have you ever taken an assessment to determine your own love language? If so, what is your primary language? When I experience my full on toxic person encounter, there were a barrage of accusations. While some were absurd – outrageous even – I confess some cut deep. It wasn’t so much as I thought they were true but they made me question who I am. It’s taken a while to process past that and reground myself. If this has happened to you, I hope you have found yourself again and have experienced healing. Lately, I’ve been discovering common behaviours of Narcissists, Sociopaths And Psychopaths. Keep in mind that those are personality disorders and it’s not a good idea to go around labelling people just because they’re jerks. While I’ve been learning, I found an article by Shahida Arabi at http://thoughtcatalog.com/shahida-arabi/2016/06/20-diversion-tactics-highly-manipulative-narcissists-sociopaths-and-psychopaths-use-to-silence-you/. Shahida the author of the book She Who Destroys the Light: Fairy Tales Gone Wrong. I want to highlight a few of the tactics Shadida Arabi includes in her article. Please read the whole article so you can get the full picture. 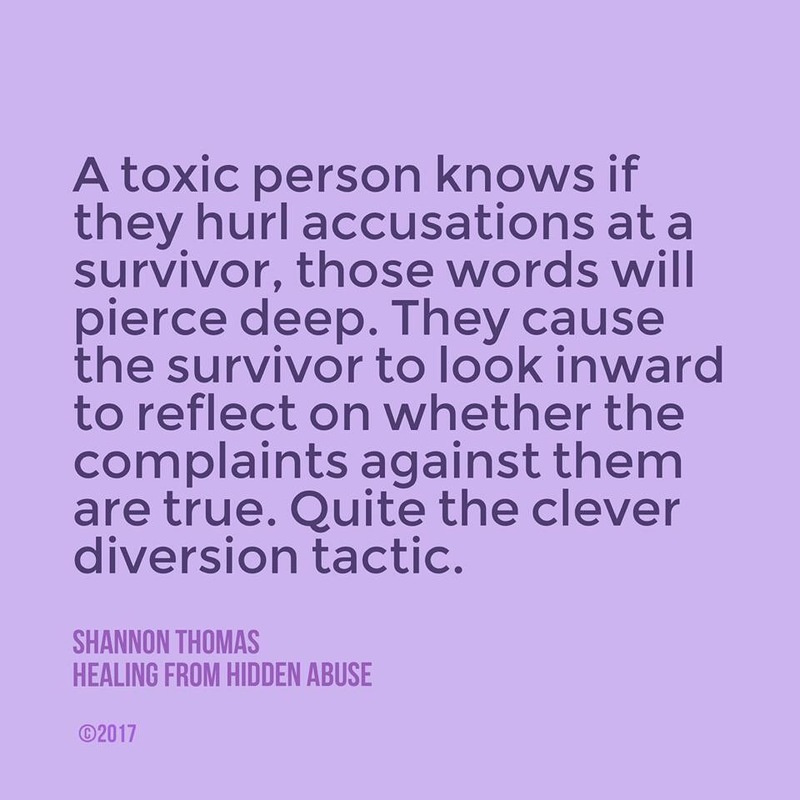 Toxic people tend to use diversion tactics to escape accountability for their actions and silence you, the target of their abuse. If this is happening to you, I hope you are able to get help and establish healthy boundaries so you may experience hope and healing. Shame all on it’s own is destructive. It attacks the very part of us that’s capable of change. While guilt can be helpful, leading us to be responsible for our actions, shame tears down who we are as a person. Now take shame and out it in the hands of a toxic person and it is used to whittle away at a victim’s self-esteem; diminishing their sense of self and stifle any pride they may have. I had prepared and schedule this post some weeks back. Then Time magazine published an interview by Michael Scherer with #45. If you have never experienced a toxic person using word salad I believe this is a perfect example. I encourage you to check it out but note that it will likely make your head spin – which is what word salad is meant to do. I found this article called “7 Healing Affirmations For Victims Of Narcissistic Abuse”. Here are some of the key thoughts I gained from it but I recommend you read the whole article. Remember that just because someone is a selfish jerk doesn’t mean he or she has a narcissist disorder. It’s not a good idea to go around labelling people. 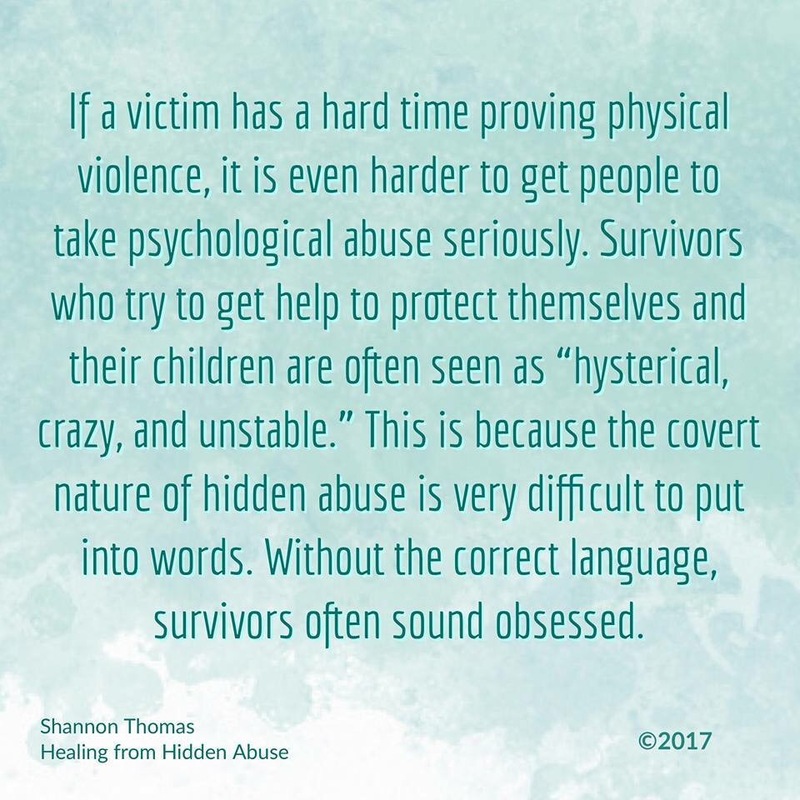 However, if you have been abused by a narcissist or you have been hurt by narcissistic behaviours, I hope this article assists you as you purse help, hope, and healing. Becoming from of abuse is a journey and healing can take time. Repeating a series of affirmations out loud can aid in your recovery. I am healing slowly, but surely, day by day, one step at a time. I am putting the past well and truly behind me to focus on the present and future. I am a loveable person who deserves the care, affection, and respect of others. I know and trust my own mind. I have firm boundaries and the strength to stick to them. I have the full support of my friends and/or family. Is personal, private prayer easy or hard for you? What are the challenges you face in living a life of prayer? What have you learned about prayer that can be a help to others who are struggling in their prayer life?